We placed this baby car seater at the top of our best five lists. Our reviews primarily result from the existing user’s experience. The Jack N Jill Baby Car Seat review is based on the average of the reviews so that there is no bias in our conclusion. How Good is the Jack N Jill – Baby Car Seat? 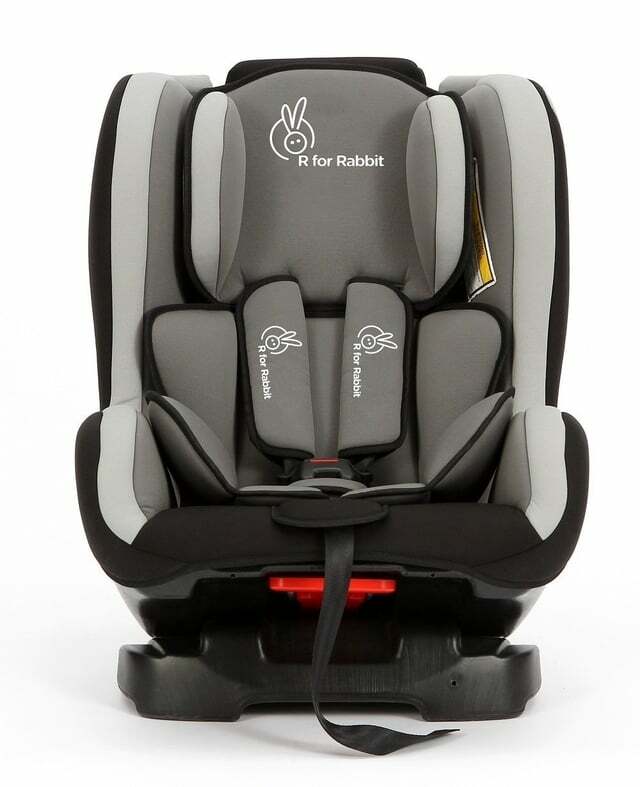 Jack N Jill Baby Car Seat from R for Rabbit is a great baby car seat available in India. Jack N Jill is a famous brand manufactured by R for Rabbit which is also a reputed company renowned for a range of baby gear. The highlights of this baby car seater is that is a convertible with the dimensions of 52x44x61 cms. It weighs under 5 kgs and is a fixed to the rear and front car seats though we recommend only attaching it to the rear seat. The baby seat can be set directly in the car seat with the help of the harnesses of the seat belts. You don’t need a Base this seater. The Safety of this baby car seater is certified by European Nations ECE R44/04 Safety Standards. It has the state of the art design, and it comes with Side Impact Protection. It is equipped with three-position recline for kids comfort and is integrated with a five-point safety harness for kids safety. The seat cover is washable and can be exposed to the sun for a long time. So, you don’t need to uninstall it if the car is exposed outside to the sun for a longer period. Who is this Baby car seat for? 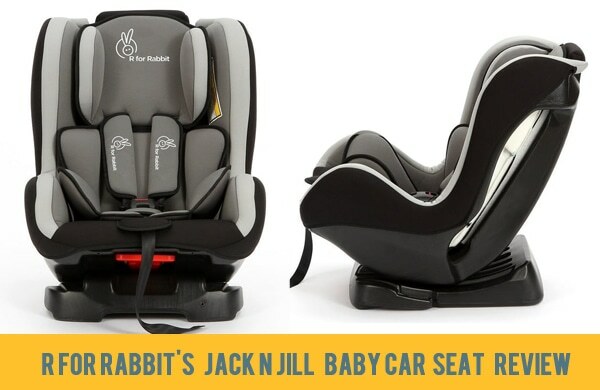 Jack N Jill Baby Car Seat from R for Rabbit is a convertible baby car seater meaning it has a rear facing as well as a forward facing seat. The rear-facing seats are useful when the baby is an infant. It is advisable to use the rear seat from 5 months to 2 years. You should never try front facing on infants. If the baby is between 2 to 5 years, you can use the front facing option. The Jack N Jill car seat can carry up to 18 kilograms of your baby’s weight. Beyond 20 kgs, we are don’t recommend it. You should go for Jack N Jill Grand. For babies up to 7 years and Jumping Jack car seat for the grown-ups up to 12 years. If you have more than one baby, who are below five years, you can use the same seater. But if you have twins or triplets or both your babies need to be seated together; it is advisable to buy two baby seats. Can it be Installed on My Car Model? The Jack N Jill baby seat needs the 3 point safety belts. Almost all cars except Tata Nano has a 3 point safety belts on both the sides of the rear seats as well as the front seat too. So, the baby car seats are perfect for all Indian Cars. Though, you won’t be able to fix them in the middle of the rear seating as the 3 point belts are mostly absent. People have used it comfortably in the small cars like Maruti 800 and Reva. Being a dedicated seat belt harness based car seat, it is not an Isofix seater. The installation is relatively easy and can fit in all models of car in no time. This convertible seat from Jack N Jill is certified for safety of your kids by European Nations ECE R44/04 Safety Standards. It is crash tested to meet if not exceed safety standards. Each minor point is well thought-out to provide the safest car seat for your little one. It is integrated with state of the art mechanism which makes it simple to set up in your car. Compared to other convertible car seats out there, the Jack N Jill convertible seat is integrated with side impact security or protection. There are few things to consider for any baby car seat. Always use the rear facing for babies under two years and front-facing position for the older ones. Never use the front seat to put the baby car seat as it is against the road safety rules. Though the Jack Jill car seat is sturdy, don’t put your baby there for longer hours or drives. 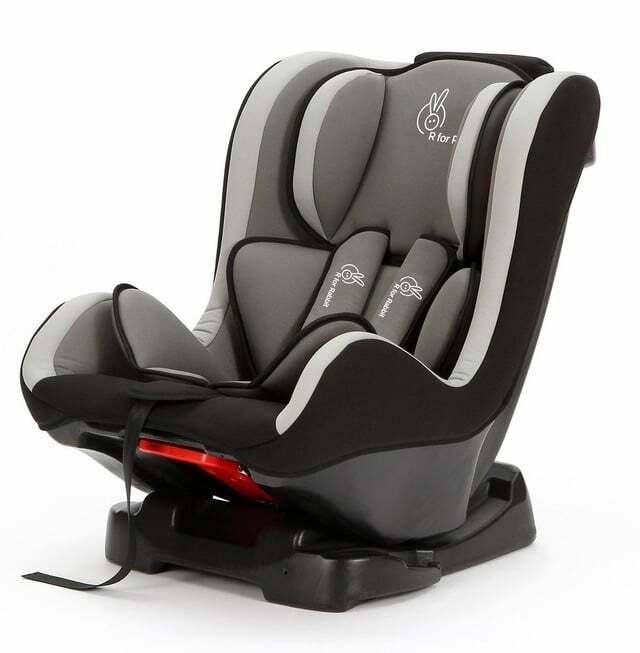 The state of the art design of this convertible seat comes with cushioned wings for impact protection and provide a comfortable ride for your little ones. This seat properly embraces your kid’s head, legs, and hips as well as the wedge make sure the best position of your kid’s spine. The Jack N Jill baby seat comes with three position recliner that could be adjusted according to the age of the kid and comfort desire to make sure a very comfortable and peaceful nap. The integrated five-point harness can be adjusted thus aids your baby get inside and outside and give safe as well as luxury ride. It also comes with washable seat cushion and luxurious design. Plastic and metal parts might be cleaned using a mild soap and water. We don’t recommend it for the bigger or, the older kids if they have crossed five years of age. For the bigger ones, you can check out with the Jack N Jill Grand or Jumping Jack car seat from the same makers. Despite the many benefits the Jack N Jill Convertible car seat offers, it also comes with some minor drawbacks. One issue is this unit has is that it is not Isofix and so need to be fastened utilizing the seat belt which doesn’t sound safe for many. Though the harness uses the 3 point safety belts which are highly reliable it should be tightened hard. Some parts are of the plastic material which is not durable enough. It is done with the intention to keep the seat weight light. Another limitation is that it can’t be used in the middle portion of the rear seats as most of the cars in India doesn’t have the 3 point safety belt in the middle. They only have it on the sides. Although, the high-end vehicles have it. The headrest is not adjustable which can be an issue for few. The instruction manual inside the package is confusing as it is for the foreign buyers. But, if you check their website, there is an easy installation video which will overcome this problem. The price over quality is a significant consideration when it comes to purchasing in India. Many consider this baby car seater is on the higher side. But, on the other hand, still, it is regarded as one of the best car seats in India for its features. If you are looking for the best and reliable convertible car seat in India, then we consider Jack N Jill Convertible Car Seat at the top pick. 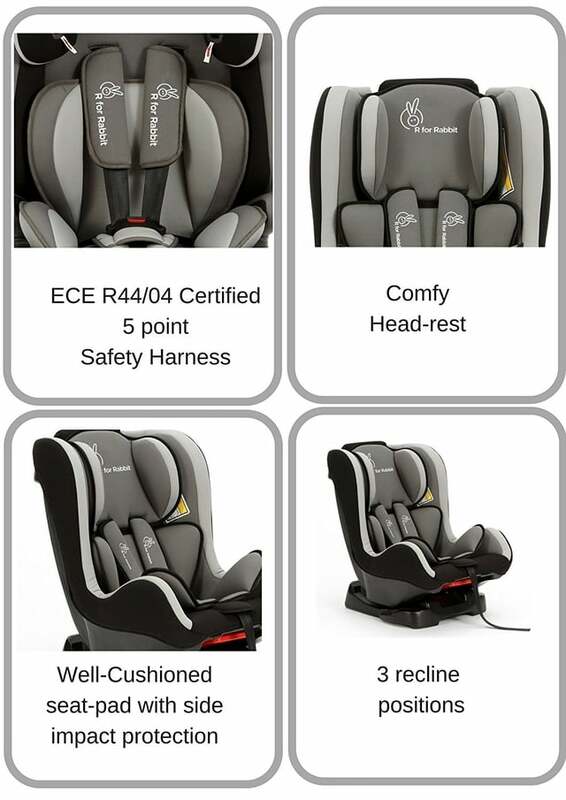 It comes with essential features for your kid’s comfort and safety. It is also lightweight and easy to install. Though it is a bit on the higher side, it is a value for money. Where to Buy the Jack N Jill Baby Car Seat! If you want to buy online, we always prefer Amazon because they offer the most competitive prices. They are considered the safest for online purchases. The products are reliable and also they ensure customer satisfaction or else they blacklist the fraudsters. 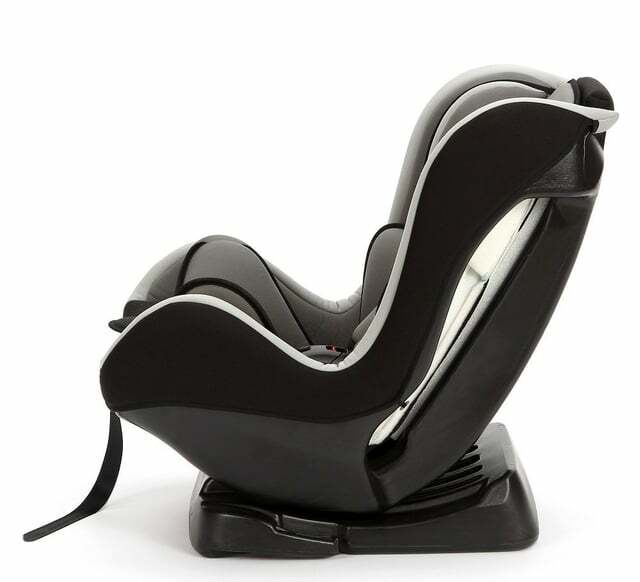 If you are interested in booking this baby car seat or you just want to check the current price, click this link to check on Amazon. Buy it soon, the prices on Amazon are subject to change!